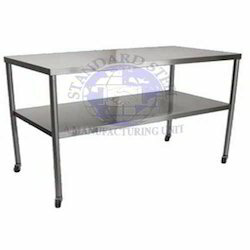 We are a leading Exporter of laboratory work bench, laboratory steel table, bedside cabinet with stainless steel top and laboratory stool from Ambala, India. 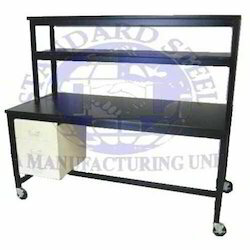 Our organisation is engaged in manufacturing and supplying premium grade Laboratory Work Bench to the customers. Built using standard quality raw material, the products we offer are at par with the industry standards. The team of our efficient quality controllers duly inspect all the products and ensure that only selected products are dispatched to the customers at affordable rates. Owing to their standard quality, these products are extensively used in various processes. Provision of Electric Tube light under the shelve. 120(L) x 75(D) x 75(H) cm. 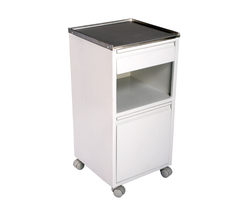 We are offering Bedside Cabinet with Stainless Steel Top and a large cabinet for storing different items. Covered from three sides, these are highly demanded in government as well as private hospitals. The cabinets come with four wheels and 50 mm swivel castors. These are packed in quality pallet boxes for ensuring intact delivery to clients. 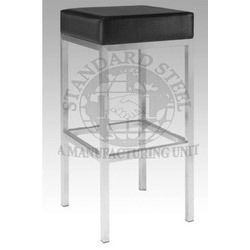 We are offering a wide range of Laboratory Stool. Top Is covered with Thick PU form and Rexine material.